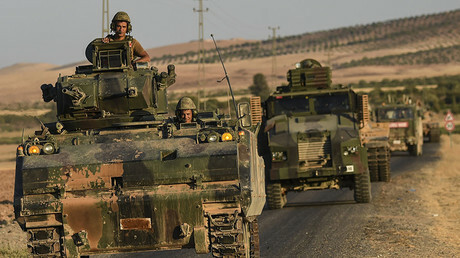 The Turkish Air Force has hit two Kurdish-held areas in Syria and Iraq, saying the bombardment targeted PKK “terrorists.” Local Kurdish militias confirmed the strikes, speaking of a number of dead and wounded among fighters and civilians. The aerial strikes on Iraq’s Sinjar region and in northeastern Syria were carried out early Tuesday, according to a Turkish Army statement cited by Reuters. 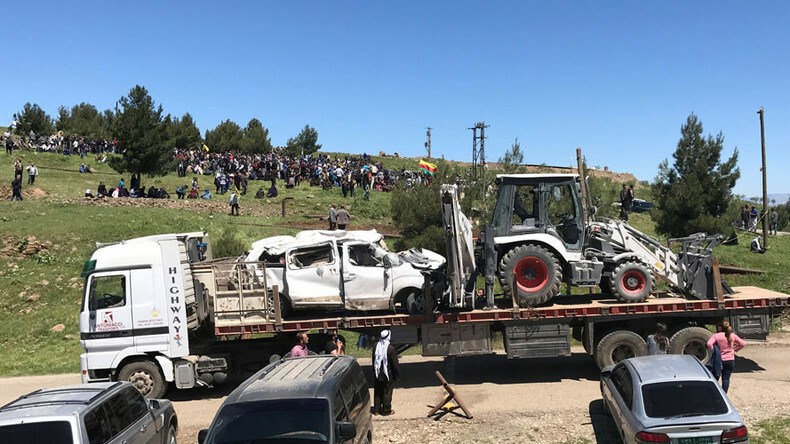 The two regions came under attack as they have allegedly become “terror hubs” infiltrated by members of the Kurdistan Workers Party (PKK), which Turkey considers to be a terrorist group. — Lizzie Phelan (@LizziePhelan) 25 апреля 2017 г. “To destroy these terror hubs which threaten the security, unity and integrity of our country and our nation and as part of our rights based on international law, air strikes have been carried out… and terrorist targets have been struck with success,” the Turkish military said in a statement. Seventy PKK militants were killed in the attack, Reuters reported, citing Turkish military sources. The strike on Syria, however, hit positions of the People’s Protection Units (YPG) Kurdish militia, killing a number of fighters and civilians, according to the militia. “Turkish airplanes launched a large-scale attack on the headquarters of the General Command of the People’s Defense Units (YPG) in Mount Karachok near the city of Derik, where there are also a media center, a local radio station, communication headquarters and some military institutions. “This treacherous attack has led to the death and wounding of a number of our comrades,” the YPG statement continues. Turkish strikes on targets in Iraq have also resulted in casualties among forces under the Kurdish Regional Government rather than the PKK. — Rojava Defense Units (@DefenseUnits) 25 апреля 2017 г. — Rudaw English (@RudawEnglish) 25 апреля 2017 г. Meanwhile, photos and footage purportedly showing the aftermath of the Turkish strikes are appearing on social media. — Mutlu Civiroglu (@mutludc) 25 апреля 2017 г. The United States has urged all sides to show restraint and focus their efforts on fighting Islamic State (IS, formerly ISIS/ISIL). "The Coalition is aware of the Turkish airstrikes in Northern Iraq and Syria. As we've said in the past, all of Iraq’s neighbors need to respect Iraqi sovereignty and territorial integrity,” Department of Defense spokeswoman Laura M. Seal told Rudaw. Later in a conference call with reporters, State Department spokesman Mark Toner said Washington had expressed "deep concern" over the Turkish airstrikes. "We have expressed those concerns with the government of Turkey directly," Reuters reported Toner as saying. "These air strikes were not approved by the coalition and led to the unfortunate loss of life of our partner forces in the fight against Islamic State." Turkish President Recep Tayyip Erdogan has remained steadfast, telling reporters that Turkey would not allow the Sinjar region of northern Iraq be a base for the PKK and that military operations would continue "until the last terrorist is eliminated." "We are obliged to take measures. We must take steps,” Reuters quoted Erdogan as saying. “We shared this [information] with the US and Russia and we are sharing it with Iraq as well." “It is an operation that [Iraqi Kurdistan President Massoud] Barzani has been informed about."